Weddings are the perfect place to eat, drink and be married, I mean, merry, but so many do not know what goes on behind the scenes, all the preparation and work required to create the wedding to remember. 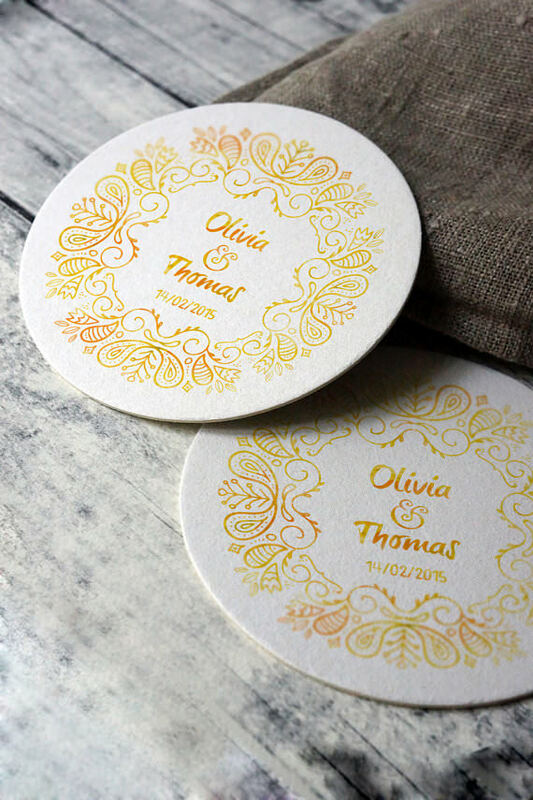 Everything is color-coordinated, customized and personalized, down to the coasters for the drinks. 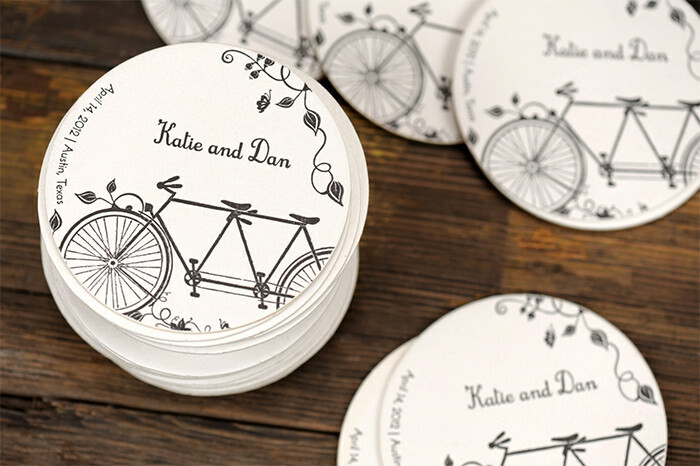 We have put together a list of 20 coaster designs that can fit any wedding theme or wedding reception. 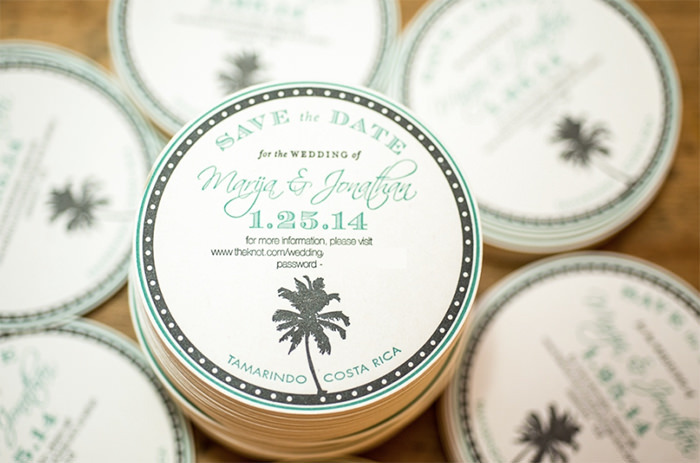 Some are simple, carrying the date of the wedding and the couple’s names, while others allow the guests to have some fun with the coasters. 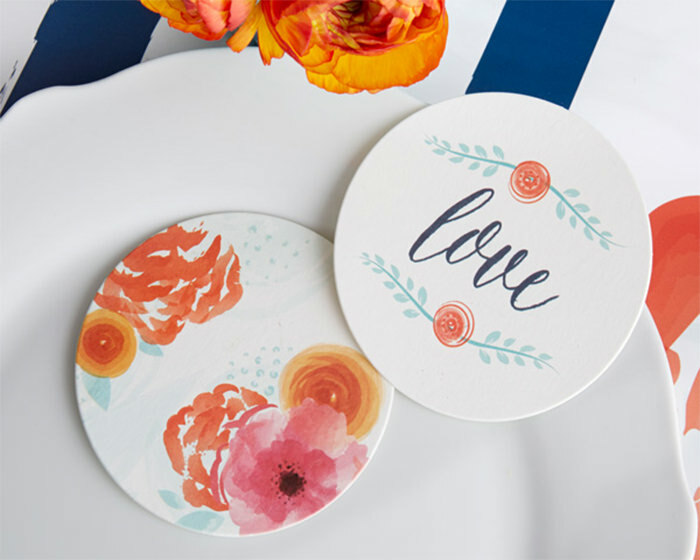 Most would look great as keepsakes, and at the very least, can give ideas and inspiration to those who are planning for their own wedding reception. 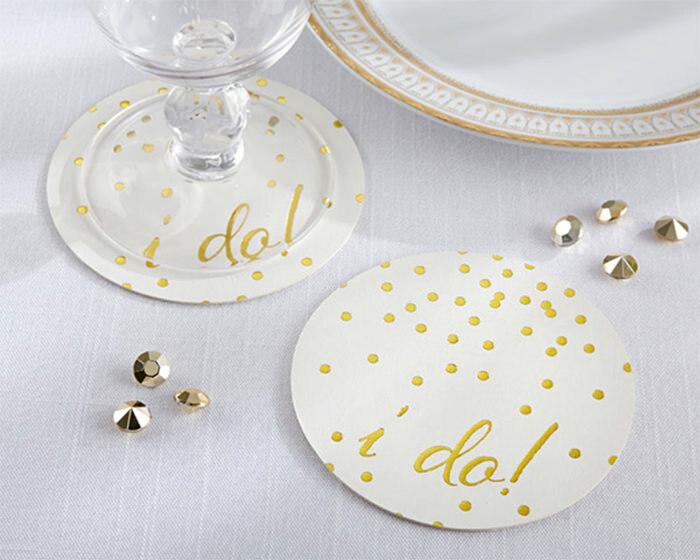 Weddings are a cause for celebration! And so is this coaster. I’d listen to it if I were you. This is one for those who are marrying their childhood sweethearts, or who really like to catch fireflies in jars together. This one opts for the shared name for a special wedding. Congratulations to the Mrs’es. 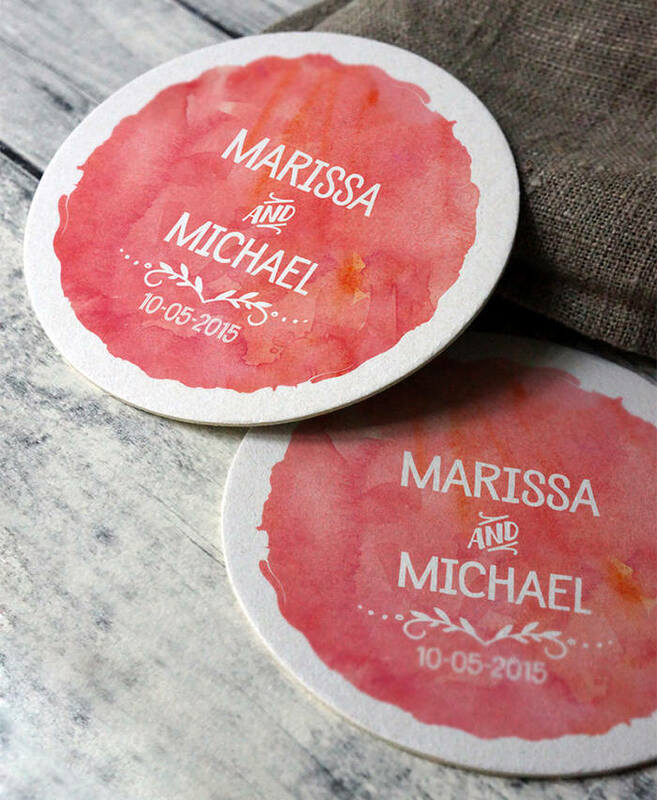 This watercolor coaster makes the design pop up with the use of vivid colors and is great to place the names of the newlyweds. 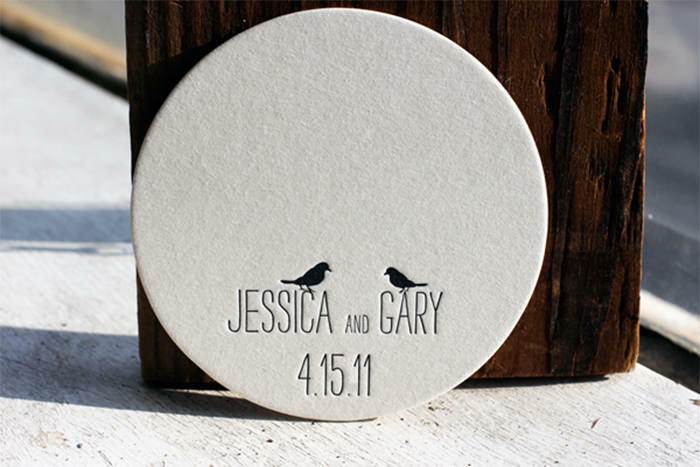 Just one of the many creative patterns to personalize coasters: the names of the bride and groom, and their wedding date. “I do” is the answer every guy or girl is dreaming to get when popping the question. 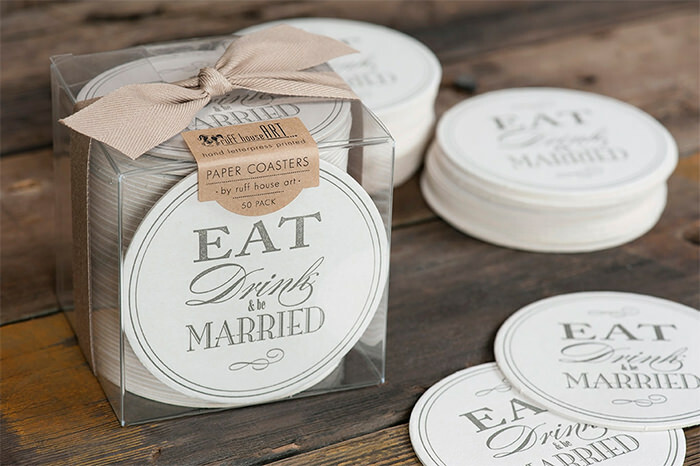 “Eat, drink & be married” says the coaster. Great suggestion, coaster! 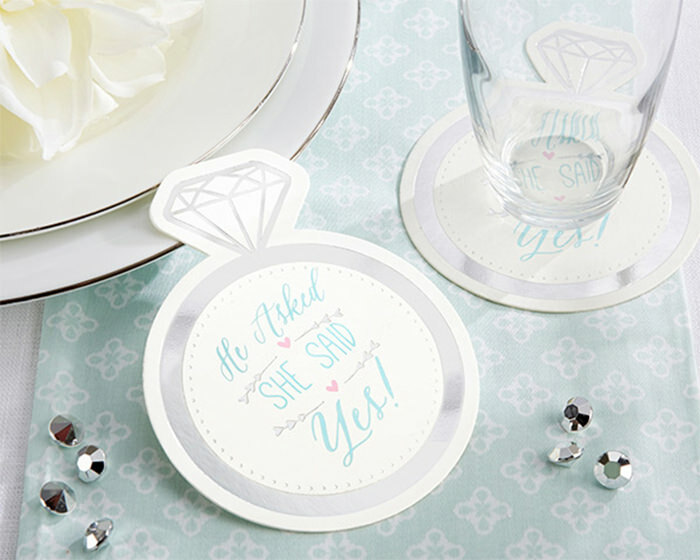 This creative coaster is made in the form of engagement ring that marks the start of an engagement: She said yes! 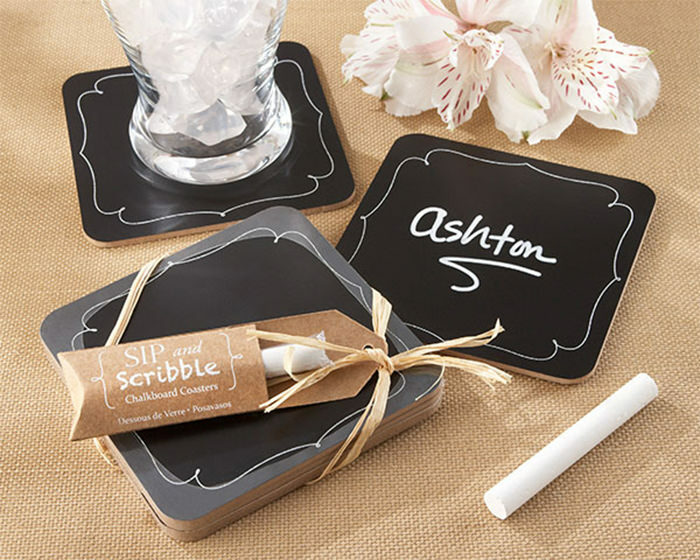 These chalkboard coasters can be used to write the name of the guests (great for seating arrangements) or for them to pen a special message for the bride and groom. 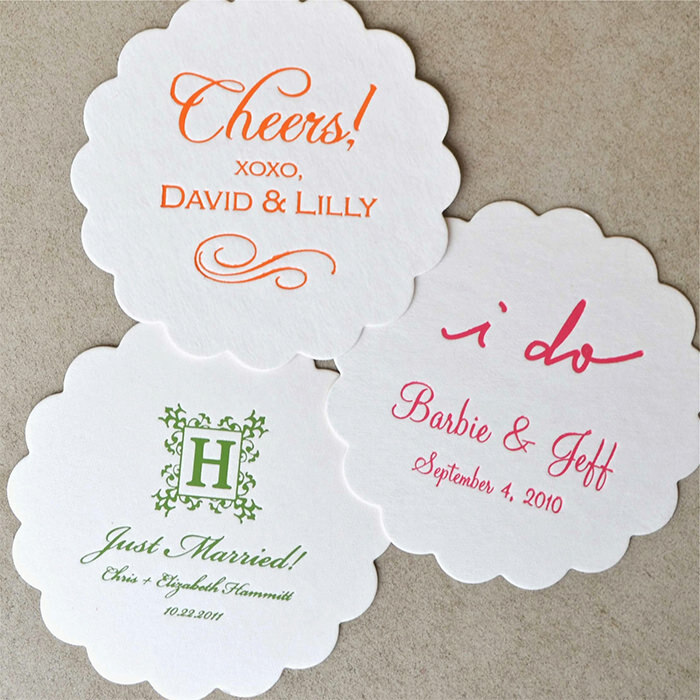 This double-sided paper coaster are made in floral natural style and would be perfect for a spring or summer wedding. 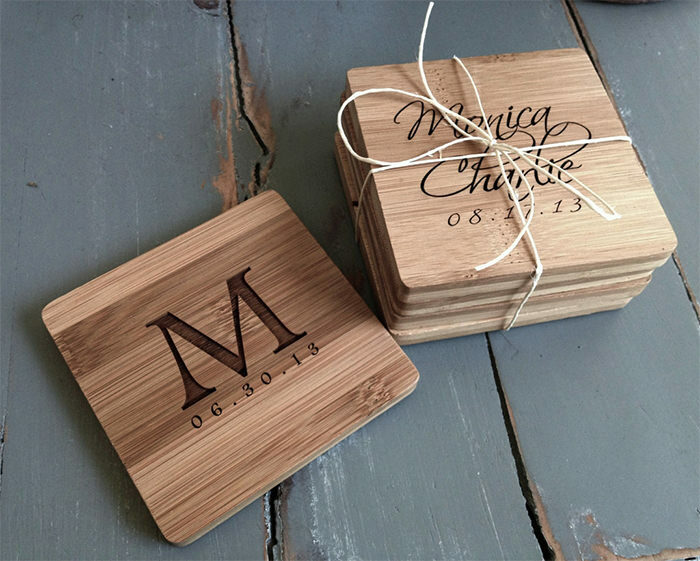 Sturdy and well-made, these bamboo coasters come engraved with the important details. A simple design for simple weddings, for a simple wedding reception made true by simple, pure love. 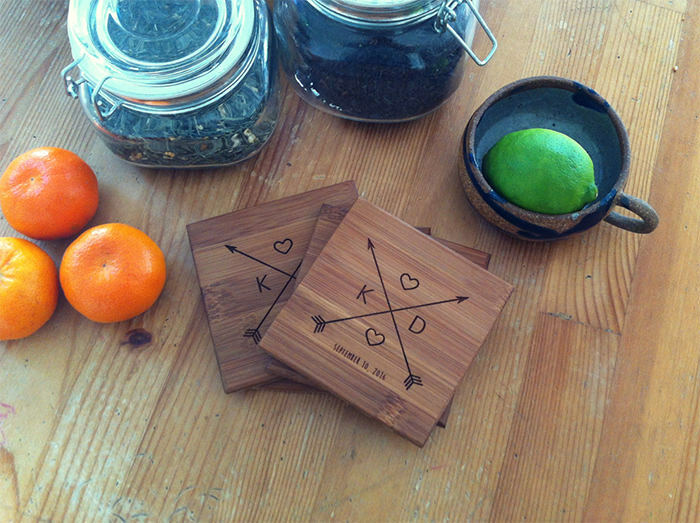 Crossing arrows wedding coasters made with bamboo, perfect for the couple with wanderlust or a beachside or tropical island wedding. This would be fitting for a floral or oriental themed wedding reception. 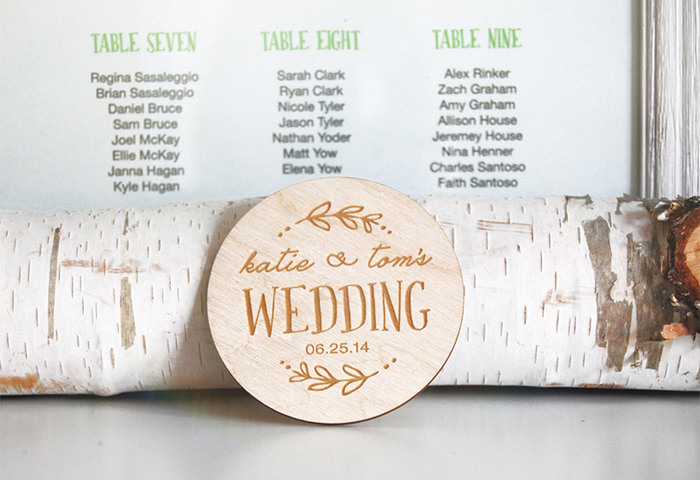 It doubles as a great momento or keepsake for attending guests. 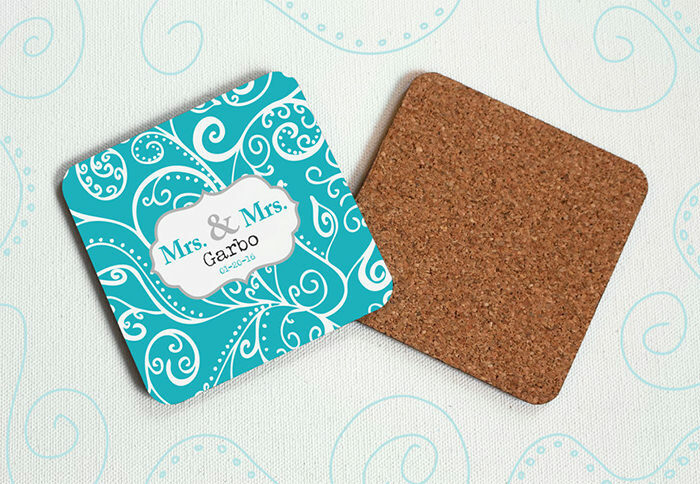 These “Save the Date” coasters can double as a wedding invitation, complete with a URL for the secret wedding venue. 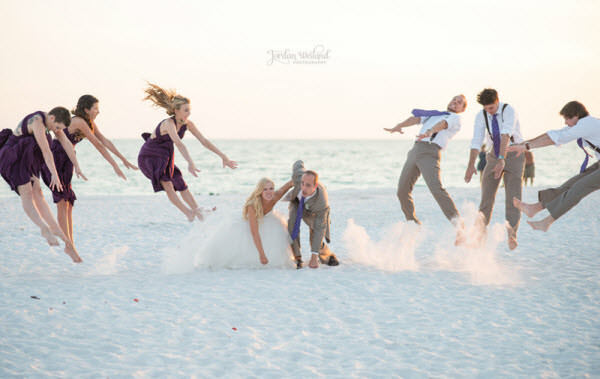 Now, that’s how you invite people to your wedding. 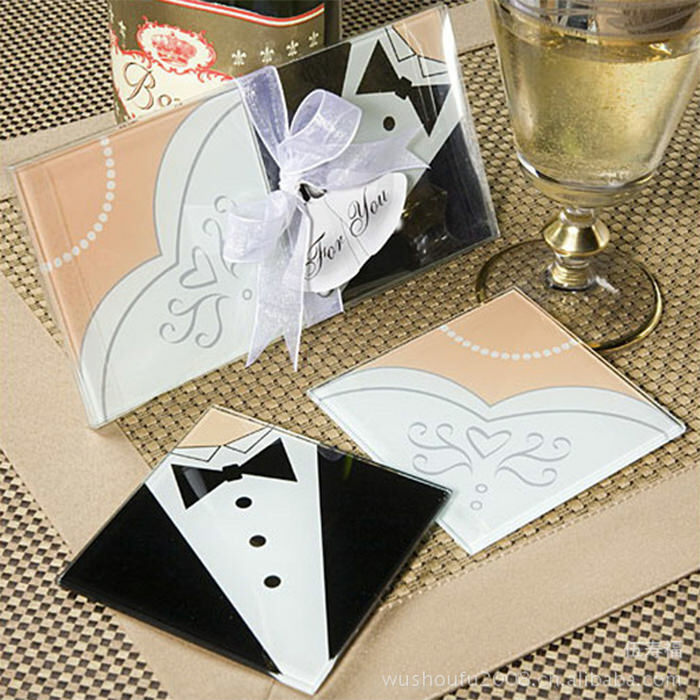 The glass coasters show groom and bride outfits – a suit and wedding dress – the perfect pair. If you prefer a minimalistic approach, here’s a design that just features the names of the couple and wedding date on the blank white background. 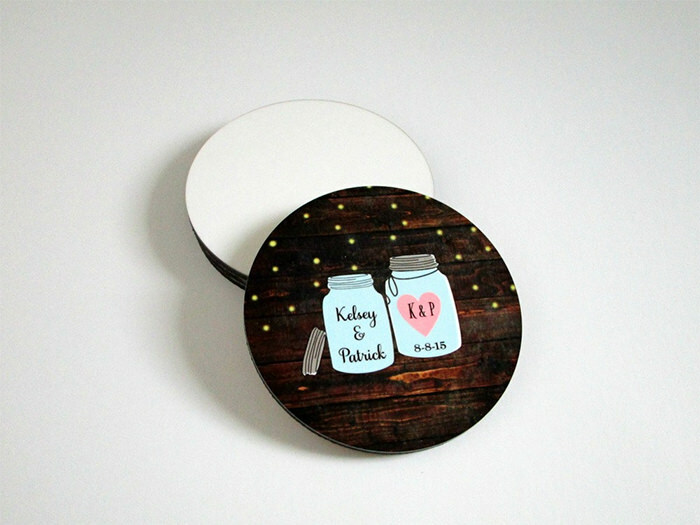 Here’s another name and date coaster design but this time on birch material. 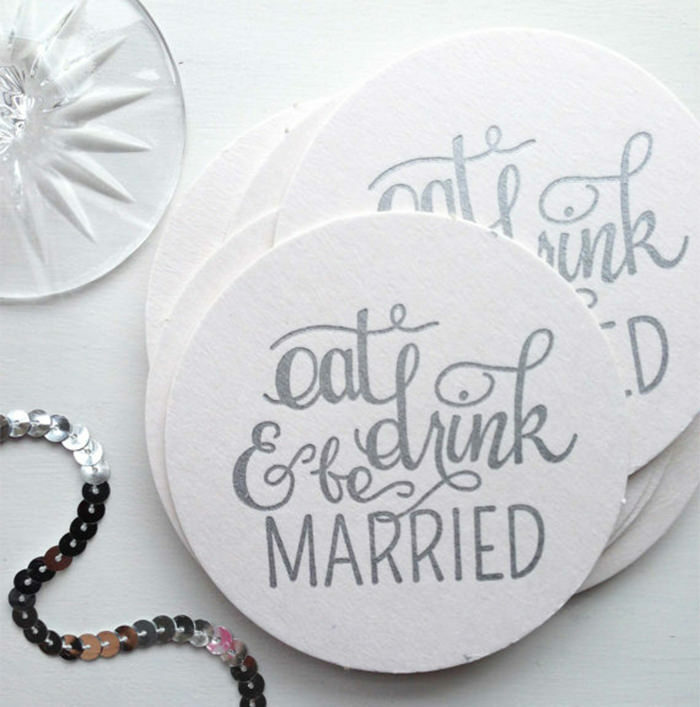 With these coasters you can add a personal touch to your wedding day. You can use different colors and wordings. 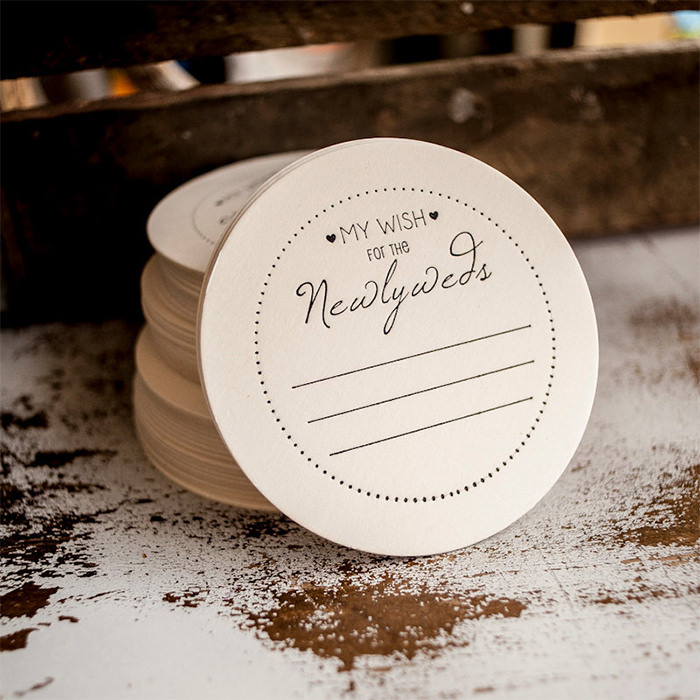 These coasters have some space to write down your special message or meaningful quote for guests. 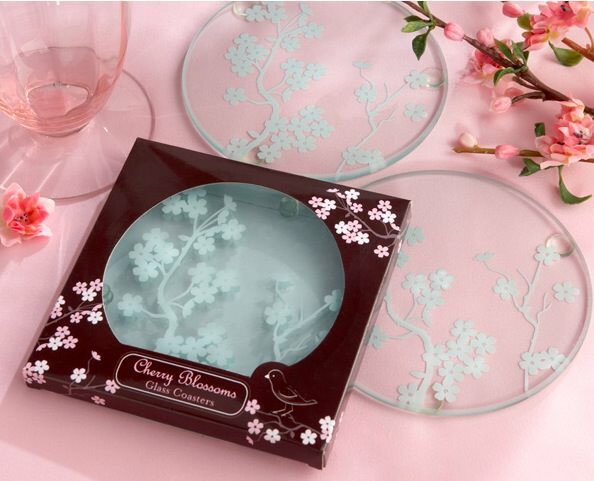 Also, they can be used by your guest to wish you something pleasant for your wedding.